Back in Wyoming's fur-trapping days, hundreds of mountain men, trappers and Native Americans descended on the future town site of Lander and set up camp below towering cottonwoods along the grassy banks of the Middle Fork of the Popo Agie River. The gathering, called the Rocky Mountain Rendezvous, was held annually between 1825 and 1840. The Rendezvous was a joyous occasion, a time to mix with other outcasts, traders, natives and tourists to eat, drink, and share stories. The Lander International Climbers' Festival, which celebrated its twenty-second anniversary from July 8 to July 12, is the modern-day equivalent of the Rocky Mountain Rendezvous—but for climbers. Here, at City Park, by a river still lined with cottonwoods, the itinerant climbers pitched a city of colorful tents, while their iron horses lined the narrow street beside the river. 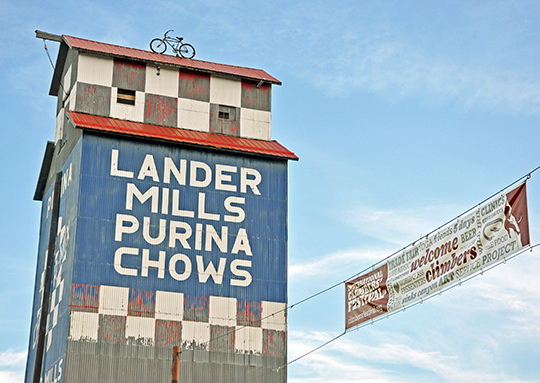 More than 800 climbers, traveling from distant states including Arkansas, Kentucky, Ohio, Maine, Maryland and Washington, as well as visitors from foreign countries, came to bend an elbow together over a cold beer at the historic Lander Bar; cheer on strong-armed compadres in a pull-up contest; learn new skills like stacking milk crates; and, of course, meet at Wild Iris and Sinks Canyon to test their strength and prowess on the vertical and overhanging limestone cliffs. Other festival highlights included a trade fair in City Park with thirty-eight vendor booths that included free giveaways from La Sportiva, prAna, Trango and the Access Fund; 28 clinics run by top climbers including Ethan Pringle, Sasha DiGiulian, Brittany Griffith and Hayden Kennedy; and the Falcon Guides writer's clinic with Buck Tilton, Sam Lightner Jr., Hans Florine and myself (the author of this story). Mandy Fabel, this year's festival director, said the Millet Keynote Speaker Series was her festival highlight: "It allowed for a great mix of socializing and hearing from many of the world's top climbers...it has a very comfortable feel to it." The speakers included Alex Johnson, Carlo Traversi and Elad Omer. Legendary Wyoming climber Todd Skinner, who died in a rappelling accident in 2006, started the climbing festival in 1994 as a way to celebrate climbing and to attract attention to local climbing areas Wild Iris and Sinks Canyon. 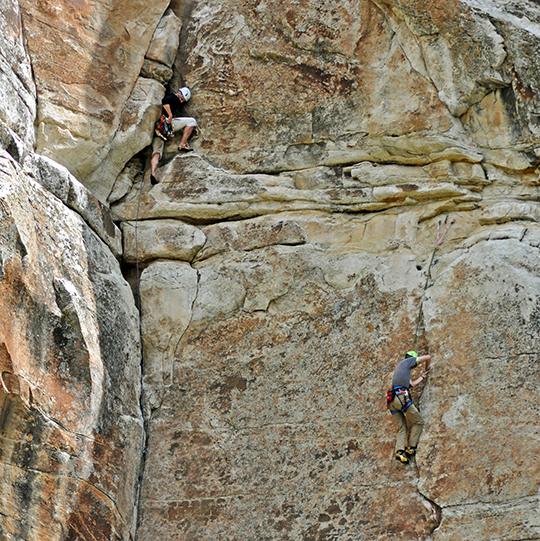 Skinner's festival, attended by only 20 climbers in its first year, continues to grow. Fabel said, "The 500-attendees mark is a good size for us to share the small-town vibe of Lander. We're quite pleased to maintain this size." Fabel noted that the festival is a big event in Lander, a town with a population of 7,500 at the eastern base of the Wind River Range. "The Lander community loves the festival and supports the event in many ways. People are incredibly friendly to the visiting climbers," said Fabel. This event is noted as the longest continuously running climbing festival in the world.